Professional certified medical coders review the medical records, prepared by the health care providers, and convert the written information into codes. These codes are then submitted to the third party payer to claim insurance. 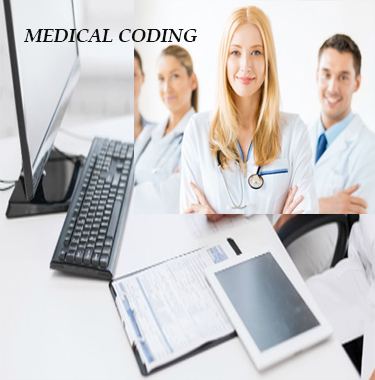 Therefore, medical coders play an important role in the healthcare, especially in the financial part. In simple terms, the process is a form of translation. With a rise in the healthcare industry, the demand of professional coders has also increased. In fact, in the current times, healthcare is one of the fastest growing careers not only in the US but in many other countries. Have you ever thought of this sudden rise in the demand for medical coders? The reason behind this is the directly related to the increase in number of patient visits. Patients will never stop visiting a provider. The provider while examining and treating the patient would report a number of other diagnosis/ treatments apart from the main diagnosis. Also, in case where the patient is admitted to the hospital or undergoes a surgery, there are a number of other procedures performed which if not coded would be difficult to record. Coding documents the information uniformly. This uniform documentation is a boon for the government and health care agencies to track the healthcare trends. Coding also helps the administration to look into the treatment facilities being given to the patient. The Category I codes are further divided into 6 classes: Evaluation and Management (E/M), Anesthesia, Surgery, Radiology, Pathology and Laboratory, and Medicine. The Category II codes describe the laboratory tests and radiology procedures. The Category III codes depict the new upcoming medical treatments or procedures. These are the diagnosis codes that describe the disease, injury and other health conditions. These codes were developed by the World Health Organization (WHO). ICD codes decide the medical necessity. The National Center for Health Statistics (NCHS) regularly updates these codes.